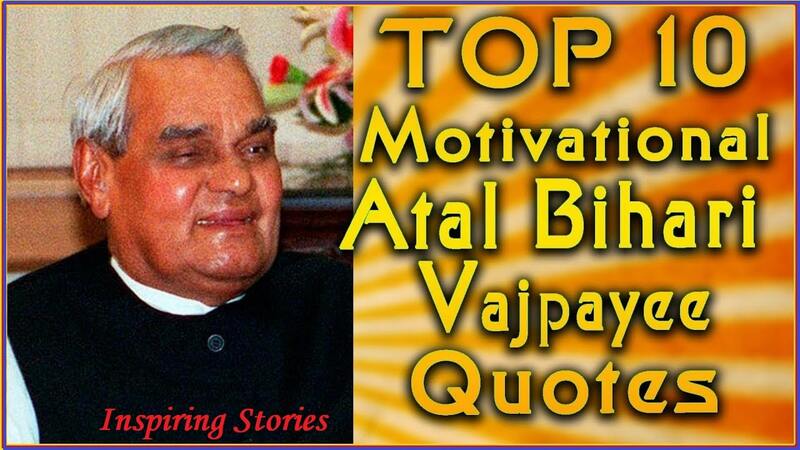 Atal Bihari Vajpayee Quotes:- Atal Bihari Vajpayee is an iconic leader of the Bharatiya Janata Party (#BJP), known for his cultural moderation, liberalism, and political reasonableness. He became the Prime Minister of India thrice. It was during his tenure that India successfully conducted nuclear tests at Pokhran and renewed hopes for peace between India and Pakistan emerged with the start of the New Delhi-Lahore bus service. His government has been till date the only non-Congress government to stay in power for five years. 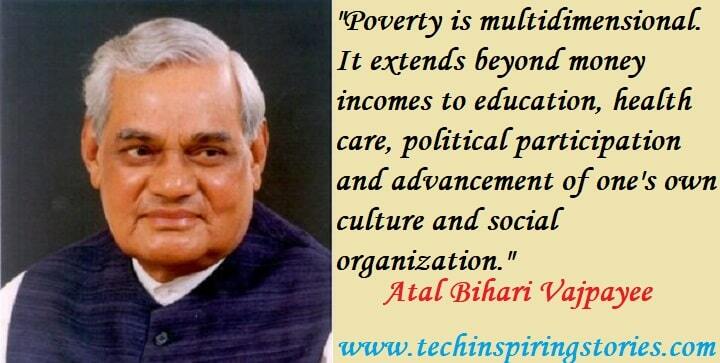 Besides being a seasoned politician and outstanding parliamentarian, Atal Bihari Vajpayee is also a renowned poet and a highly popular personality across the political spectrum. #AtalBihariVajpayee was sworn in as prime minister in May 1996 but was in office only 13 days, after failing to attract support from other parties. In early 1998 he again became prime minister, in elections in which the BJP won a record number of seats, but he was forced to make a shaky alliance with regional parties. In 1999 the BJP increased its seats in parliament and consolidated its hold on government.